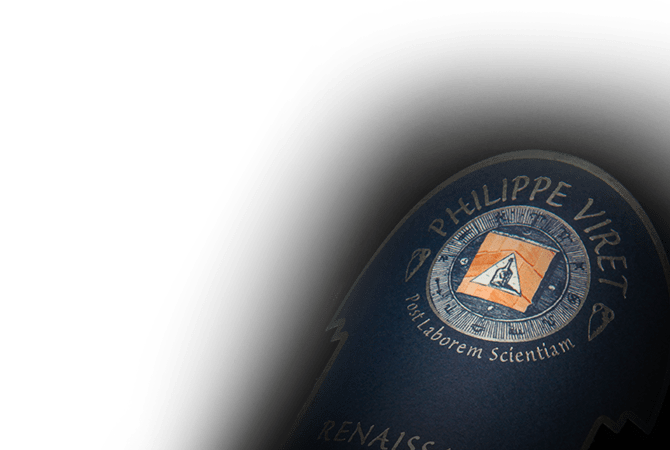 The history of this family of wine growers has to be considered in its whole, as so much know-how, such much character, strong commitments and noble ambitions have prevailed since their early days. After having worked in the Family owned estate in 1963, Alain Viret, diviner by trade, takes over the domain to direct it towards a wine growing that will be more respectful of their magnificent terroir and of its ecosystem, composed a 50 hectares natural biotope. Although already cooperating at the Saint-Maurice cellars, in the very heart of the Provençal Drôme, the basic principles of a wine growing favoring the balance of the living, that is the Biodynamic, were already set down. The new direction was clearly confirmed in 1999 as soon as the cooperative system was abandoned in favor of a status of a privately owned cellars. Alain Viret, assisted by his son Philippe, freshly awarded with the Oenology diploma, was then able to apply his strong agronomical convictions: the Cosmoculture, this biodynamical approach of a brand new kind, which once formalized into pure ethic, will from then on be the basis of the Viret family's wine growing and wine making project.